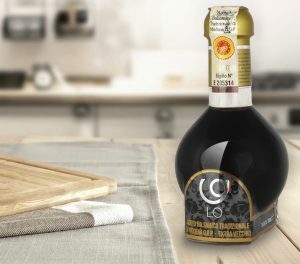 Today we propose you a tasty recipe to cook brussels sprouts and chestnuts with original Balsamic Vinegar! It is a colorful side dish that could match perfectly with roast chicken, or even just on it’s own. This dish is easy to prepare but extremely tempting! Preheat the oven to 350 degrees. 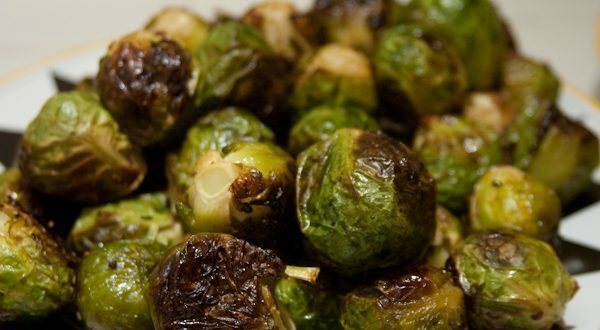 Toss Brussels sprouts with olive oil, and dress them with pepper and salt. Roast on a baking sheet for 25 minutes, stirring every few minutes. While the sprouts roast, heat a tablespoon of olive oil in a small pan and cook the onion until it is just slightly golden. Then add the prosciutto and cook until it is warmed through. Then set aside. Once the sprouts are baked, add the chestnuts and continue to roast for a few minutes, or until the chestnuts are warmed through. Combine the roasted Brussels sprouts and chestnuts with the onion in a large bowl, and add herbs and original Balsamic Vinegar. Serve straight way! When you buy the ingredients for this recipe you must be careful and look for vegetables that are firm and bright in color. Try to avoid those that are wilted or have wrinkled skins, which are signs of age and damage. Different vegetables have different cooking times, so we suggest you to cook different types separately and then combine them altogether.